I love this series table from Chintaly. I had such a hard time finding a kitchen dining table that was this specific size. Its high quality and really easy to assemble. Products came well packaged and delivered in timely manner. It's exactly the size we were looking for, as our last table was quite bulky, and weighty. Nothing bad to say about this table. The table corresponds to product description. 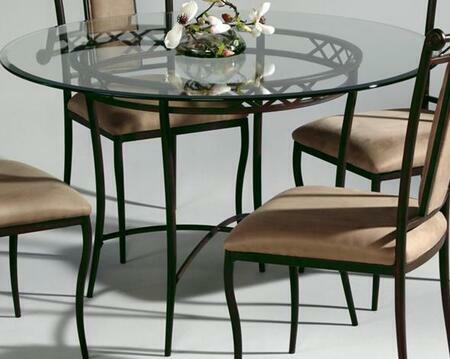 It is well made and the quality is very nice of this Chintaly table from Collection. I think it's striking looking and a great size for my small dining area. It's also sturdy and it wasn't too difficult for my husband to put together. Very satisfied with my first purchase from Chintaly.